Working away at Fingringhoe Wick: April today. For once I had a good clear day so made lots of progress. 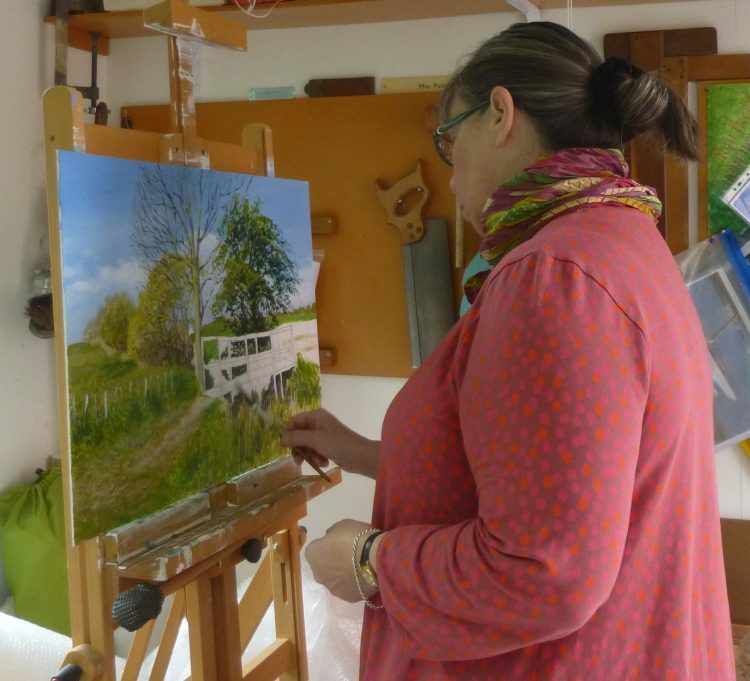 As it was a drizzly dull day it was good to have an inside job! 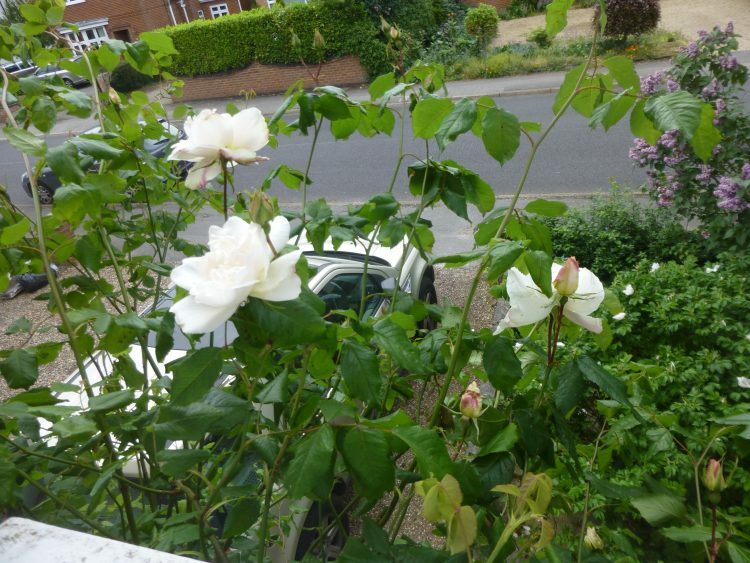 The long overdue rain in the night made the roses – Madame Alfred Carriere – open outside my bedroom window.